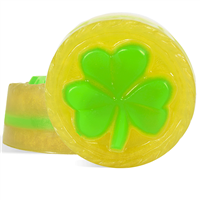 These soaps are perfect for St. Patrick's Day celebrations. We used our Honey Ale Beer soap base which has a beautiful amber color along with the sweet and robust scent of a handcrafted beer. 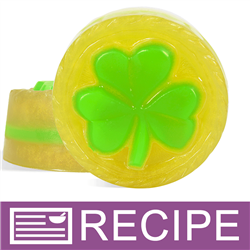 Using this soap may just bring along the "luck of the Irish"! To a microwave-safe measuring cup, add 7 oz. cut up soap. Add 0.10 oz. bright green color block. Heat in microwave until melted. Stir to blend ingredients well. 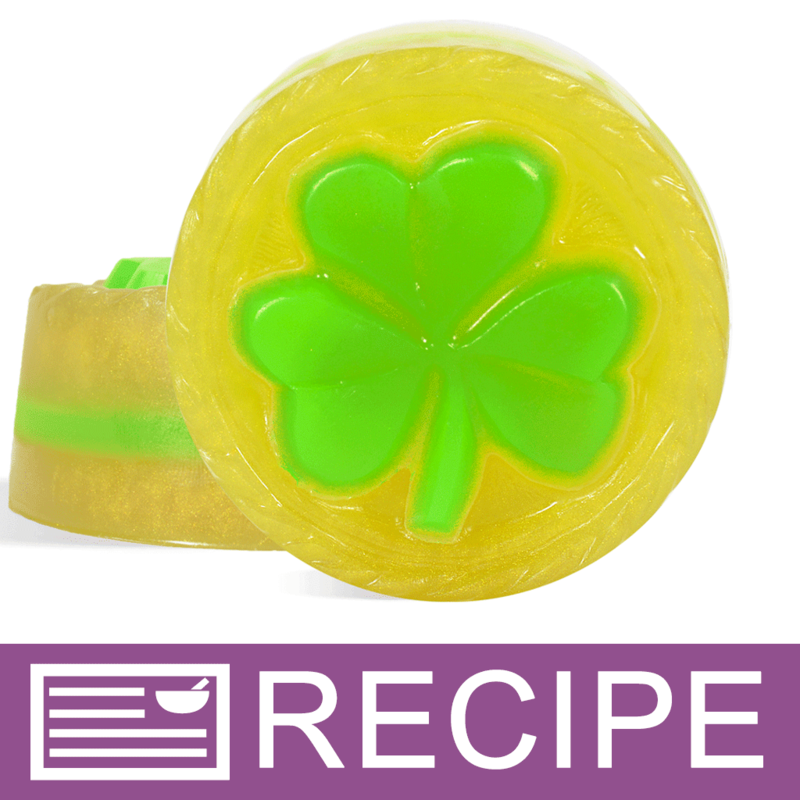 Pour soap into shamrock area only in both soap molds. Set aside remaining soap for later. To a microwave-safe measuring cup, add 20 oz. of cut up soap and 0.20 oz. gold color block. Heat in microwave until melted. Stir to blend soap and color. When the shamrocks have hardened, spritz them generously with rubbing alcohol. When soap has cooled to 128°F or less, place first mold on digital scale and tare to zero. Pour 1.50 oz. of soap into each cavity and let set up. Set aside remaining soap. Melt green soap from first measuring cup. Soap temperature should be around 128°F when poured. Spritz gold soap in mold and add 0.75 oz. to each cavity. Let harden. Melt remaining gold soap. Spritz green soap generously with alcohol. Check soap temperature then fill mold cavities with remaining soap. Spritz and let harden. Wrap soaps in plastic wrap and place into a soap box. Or, package as desired. Ingredient Label: Sorbitol, Propylene Glycol, Sodium Laureth Sulfate, Stearic Acid, Water, Sodium Hydroxide, Myristic Acid, Lauric Acid, Honey, Beer, Fragrance, Polyester-3, Pigment Green 7, Fluorphlogopite, Titanium Dioxide, Iron Oxide. "Is the fragrance from the soap base?" Staff Answer Yes, the fragrance comes from the Honey Ale Beer soap base.